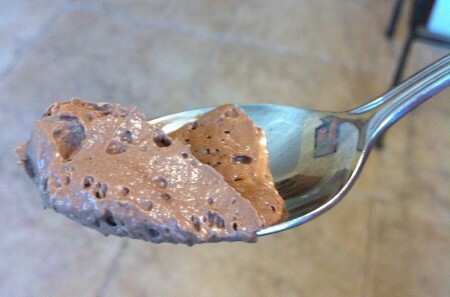 Dessert Darling Raw, Organic Chocolate Pudding by Stinkey Monkey. Incredible~ | Dessert Darling and am positively giddy about how delicious such simple and wholesome ingredients can be! This organic, diary free, glutten free, soy free, and low-glycemic treat is made with coconut meat & milk, matcha powder, vanilla bean, cacao powder, palm sugar, and himalayan salt. The cool, whipped consistency reminded me of a rich and delicious mousse. While palm sugar isn’t quite as low as Agave nectar on the glycemic index, it is incredibly tasty and makes natural desserts taste just as sinful as “real” ones. 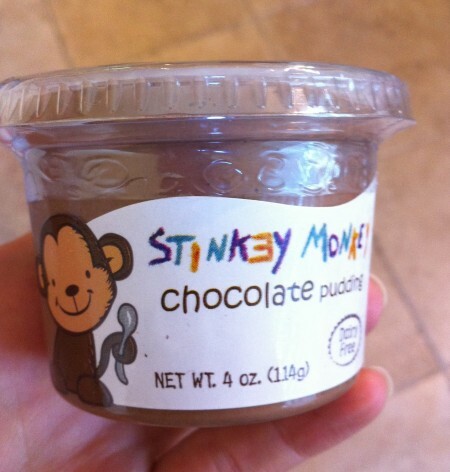 For more information on Stinkey Monkey Pudding, click here. What a funny name for a dessert company! But I do like the fact that has some good ingredients instead of the usual bad stuff in mousses. I wish more people would write sites like this that are actually helpful to read. With all the garbage floating around on the web, it is refreshing to read a site like yours instead.